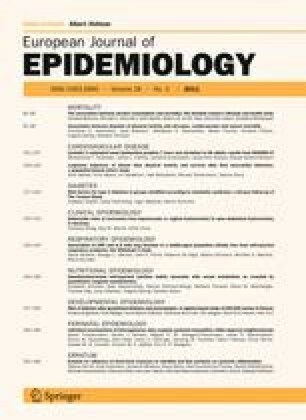 The aim of this study was to provide population-based German-wide hysterectomy rates based on the national hospitalization file and to estimate the rate of conversion from laparoscopical or vaginal hysterectomy to open abdominal hysterectomy. Nationwide population-based DRG (diagnosis related groups) data of the years 2005 and 2006 were used to calculate hysterectomy rates by indication group and type of surgical approach. Overall 305,015 hysterectomies were performed during the study period (4.5 out of 1,000 women aged 20 years or more). The hysterectomy rate for benign diseases of the genital tract among women aged 20 years or more (3.6 out of 1,000 women) is higher than in Sweden but lower than in the US or Australia. Only 6 and 5% of all hysterectomies were performed by laparoscopically assisted vaginal hysterectomy and laparoscopic hysterectomy, respectively. Twenty-six percent of hysterectomies for benign diseases among women aged 50 years or more included bilateral oophorectomy. 10% of laparoscopical hysterectomies and 1% of vaginal hysterectomies necessitated a conversion to an abdominal hysterectomy. For both types of hysterectomies, the conversion rates were highest for primary malignant genital tract cancer and other cancers compared to the other indication groups. Whereas the conversion rate for laparoscopical hysterectomies increased by age, this rate did not change by age for vaginal hysterectomies. Conversion from laparoscopically or vaginal hysterectomy to open abdominal hysterectomy is associated with the indication and type of hysterectomy started with and is considerably higher for laparoscopic than vaginal hysterectomies. The online version of this article (doi: 10.1007/s10654-010-9543-4) contains supplementary material, which is available to authorized users. We are very grateful for the many helpful comments by Katrina Spilsbury, CHIRI, Centre for Population Health Research, Curtin University of Technology, Perth, Western Australia, on an earlier draft of this manuscript. We thank Mareike Kunze, Institut für Medizinische Epidemiologie, Biometrie und Informatik, Universitätsklinikum Halle und Medizinische Fakultät, Martin-Luther-Universität Halle-Wittenberg, Halle (Saale) University of Halle, for the preparation of the figures.